Tim Kedrowski had 16 kills, three blocks and two aces to help Durango’s boys volleyball team to a 20-25, 26-24, 25-20, 17-25, 15-11 win at Silverado on Monday. Jack Plourde added 43 assists, four aces and three kills for the Trailblazers. Bravyn Aquino had 36 assists and 11 digs for the Skyhawks. Caden Thomas added 14 kills and six digs, and Logan Eddington had 12 kills for Silverado. Liberty 3, Desert Oasis 1 — At Desert Oasis, Pascal Chavez had 21 kills and seven digs to lead the Patriots to a 25-12, 25-22, 21-25, 25-21 win over the Diamondbacks. Seth Monterde had eight kills and nine digs, and Jordan Wafer had nine kills for Liberty, which got 42 assists from Sefania Mamea. Liam Morrisey paced Desert Oasis with 14 kills, 15 digs and two blocks. Josh Bastin had eight kills and three aces, and Gage Sarna added 21 assists and 11 digs for the Diamondbacks. Ethan Kovach had 30 digs for Desert Oasis. Shadow Ridge 3, Bonanza 1 — At Bonanza, Justin Ahlstrom had 46 assists and 10 digs as the Mustangs defeated the Bengals, 25-15, 25-16, 22-25, 25-13. Sam Nish had 14 kills and three blocks for Shadow Ridge, and teammate Sebastian Yates added six kills and four digs. Mark Thuet had 16 kills and 12 digs, and Anthany Lemus had 29 assists and five digs for Bonanza. Mataio Valoaga added five kills, two blocks and four digs, and Dominic Phimthasak had five kills and six digs for the Bengals. Spring Valley 3, Tech 1 — At Spring Valley, Alan Quach had 40 assists and three aces as the Grizzlies defeated the Roadrunners, 25-18, 25-14, 16-25, 25-12. Mariano Saucedo had 18 kills, and Danny Sandoval added 15 digs for Spring Valley, which got nine kills from Carson Dooley. Clayton Faught had 20 assists, and Jerin Lacson had six kills for Tech. George Martinez had five kills for the Roadrunners. Green Valley 3, Clark 1 — At Clark, Kyle Cronic had 21 kills, 12 digs and four blocks to power the Gators to a 25-14, 25-27, 25-12, 25-12 win over the Chargers. Chase Johnson had 13 kills and nine digs, and Chase Allen supplied four kills, 37 assists and five digs for Green Valley. Bryce Wetjin had 11 kills and two aces, and Carlos Alvarez had 17 assists, two aces and two blocks for Clark. Coronado 3, Sierra Vista 0 — At Sierra Vista, Jacob Ceci had nine kills, 11 digs and two aces to help the Cougars defeat the Lions, 25-18, 25-18, 25-22. Slater Fuhrman had 11 kills, and Brian Wichtman added 16 assists and five digs for Coronado, which got 17 assists from Jonathan Magallon. Croix Reganit had 11 kills, nine digs and two blocks, and teammate James Gow had four kills for Sierra Vista. Foothill 3, Bishop Gorman 0 — At Gorman, Caleb Stearman had nine kills and two aces as the Falcons defeated the Gaels, 25-21, 25-19, 25-8. 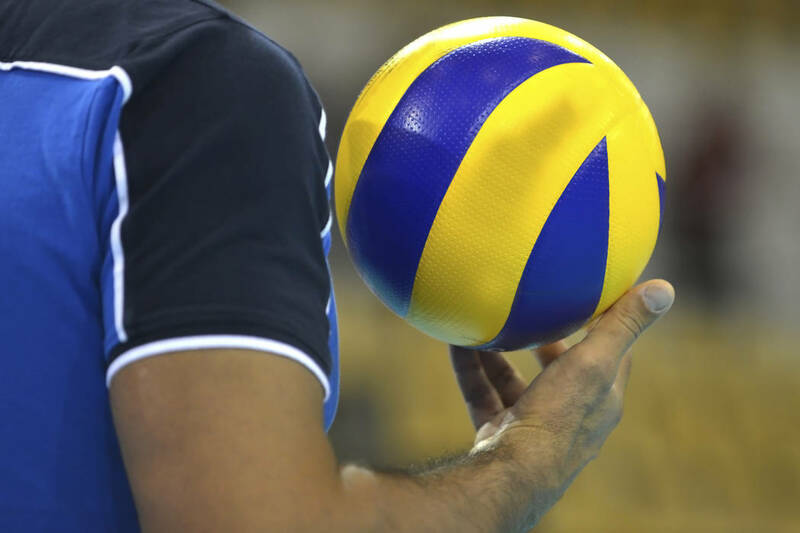 Matteo Forghieri added six kills and six aces, and Sawyer Campbell had five kills for Foothill. Aiden Napoli had 14 assists, and Bradley Johnson had nine kills for Gorman.